I'm so grateful to my wonderful blogger friend, Sarah, who blogs wonderful faith inspiration at her blog, Abiding in Grace. 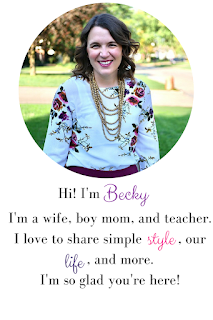 If you don't follow her blog, you need to. She is such a blessing. Today she's sharing her story here about adoption and waiting. Hi. 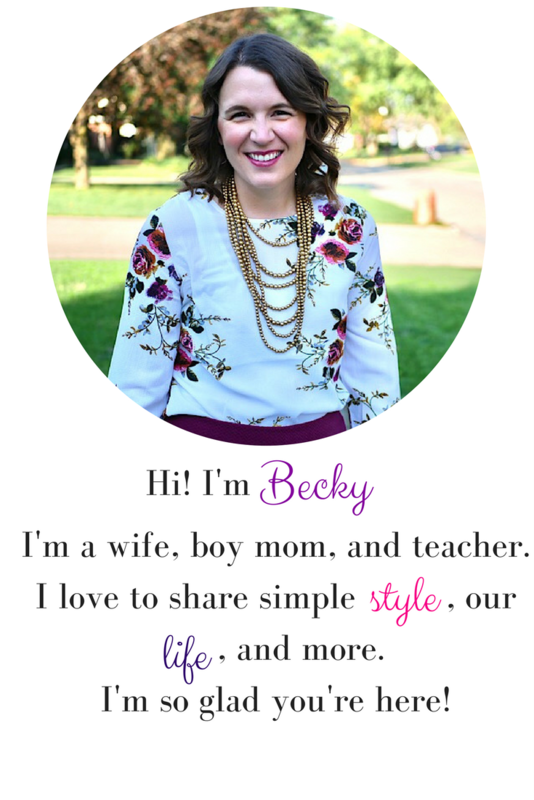 My name is Sarah and I’m honored that Becky allowed me to guest post for her today. I am a momma of two rowdy boys (ages 6 and 4) and two sweet (ok - a little sassy) girls who are both two. No, we don't have twins! Our family has been in the process of adopting for over a year. When we had originally started most everyone told us we would be waiting around two-three years. Some of the steps went much faster and we traveled this past March, after only fifteen months to bring our second daughter home. Waiting has been the theme and I knew that God would be teaching us a lot, I just never After over a year of waiting, my heart realizes that it is changed, in ways I never even knew I needed to change. Are you in a season of waiting? If so, let me give you some encouragement. Open your heart to God’s provision. The thing you are waiting for might not be what you thought it would be. You might think you need certain things (or to feel a certain way). Instead, God will give you exactly what you need (even if you don’t know what that is). Most importantly, He will provide Himself. He is the greatest provision to hold on to during this waiting season. Right now we are waiting for our Article 5 to be picked up. Basically that means that I have nothing left to do for this adoption. We can’t plan for travel until we receive a consulate appointment. It could be another two weeks before we get confirmation of travel. No booking flights. No planning what to pack. No checking on hotel options. Nope. No travel plans until we get that consulate appointment. The hardest part: we more than likely have to wait a week before our agency’s group leaves before we can plan any of that. Yes, a week before we travel is when we I get to plan EVERYTHING. Have I mentioned that I like to plan things? Oh yes, I do. I think this has been the biggest test for me, waiting on God to provide. I prayed: Lord, give us a consulate appointment sooner, not later. I know you are able, please do it! I feel like a little girl begging her daddy to give her a few coins for somethings sweet to eat. Yet, it isn’t candy that I long for, it is an answer. I want my God to provide an answer. I want Him to provide MY answer. I wanted the dates that I have planned, I wanted the travel to work out how I want it to work out. As I look back at all of the promises that scripture provides, I see that He has already provided an answer to my request. As I waited, I had to remind myself: I will get to make travel plans (just not right now). I will get to see my daughter (just not right now). The “just not right now” are four of the most painful words during our waiting. Waiting is all about “just not right now.” Not now. In the future. In a hidden future. A future full of unknowns. God answers and promises us a future and that future, we are told, is good. Based on the past, I know this to be true. He does give good things, I’ve learned that through the past and all those times He’s been faithful. I don’t live my days in the future. But I can’t live my days in the past either. I must live my days in the present. I sit here, looking at the wind blowing the ivy on the tree with the sun lighting the part of the tree that faces west. The sun is setting and on the other side of the ivy-covered tree the leaves are left in the dark. The days we wait with no progress are the days we are facing the east while the sun is setting: in the dark. It is cold, lonely, and the wind still blows in the dark. My heart knows the sun will shine tomorrow, because it shone yesterday. But I need comfort in the present, in the dark. What are the promises we have in the present? I don’t want to hear promises of a future blessing or the comfort of past faithfulness. I want a God who is with me in the present. And He is. He is sitting here in our times of darkness, holding our hand. What can He offer us while we wait? Provision. You may think you need the timeline to speed up and you feel stuck because it can’t - no matter how hard your push. You have Him. He is your provision. Who is the provision for the psalmist? God. God is the man’s provision. He realized that in himself, there was nothing that would satisfy. It was in GOD that He had everything. We find our strength and provision during our times of waiting in God alone. He is who we need. One of blessings, so far, of this entire process has been able to see how much of Him is available to me. I felt so alone in my waiting, especially in the beginning before I began to reach out. I clung to God. Even now, surrounded by supportive friends and family and even “social network” I sometimes feel alone. But God keeps reminded me that He is here. Right now, in my heart, and He has never left. And truly that is all that I need. He is our provision. One of my lifelines was knowing that my God was available now. In the present. He is here today. In my waiting. He is holding my heart and my hand today. The uncertainty of our travel plans threatens to overwhelm me. As I waited, I felt the urge to make a million to-do lists. (I only made about 6-7 lists per day….). God sees me. He sees all my lists and He sees my heart sigh when I think about traveling. Will it be four weeks? Will it be six weeks? Will it be eight weeks? My heart is teetering on the edge of insanity when I try to wrap my heart around all that this involves. He is my provision for the present. He calms my soul. He gives me a peace for the moment. I can’t worry about tomorrow, doesn’t Jesus say that one day has enough trouble for that day - no need to add by worrying about tomorrow’s trouble. Living in the present is hard. I have placed my hope in God for the future. I have rested in the past faithfulness. As I spoke to dear friend today, explaining how we were preparing to travel but couldn’t make definite plans until a few more weeks, I told her that I’ve tried to focus on the promise found Proverbs 16:9 - “A man’s heart plans his way, But the Lord directs his steps.” We can plan all we want, but God is the one who directs our steps. And that is comforting. While we sit waiting for the next steps, it isn’t wrong to plan and get ready to move. Yet, we cannot hang on to those plans so tightly. God is the one going to direct our steps. From all that we have learned from God, can we not trust that He will work it all out? We can. We do. But isn’t it amazing that even though our God has provided for our past and will provide for our future, He is providing for our present. He gives us what we need for TODAY. What does the Lord’s prayer say? Give us this, our daily bread. In the wilderness, the God provided for His people daily. Not too much not too little - just enough. And when we can’t see anything - may we see God. May we find that part of His provision, the MOST IMPORTANT part is Himself. He is our ultimate provision and, dear waiting momma, He is truly enough. We did get the consulate appointment we were hoping for and we were able to travel early March! You can read about our trip here: China Trip Part 1 and China Trip Part 2.